We started our orchard with Dwarf, Semi Dwarf and Standard trees. 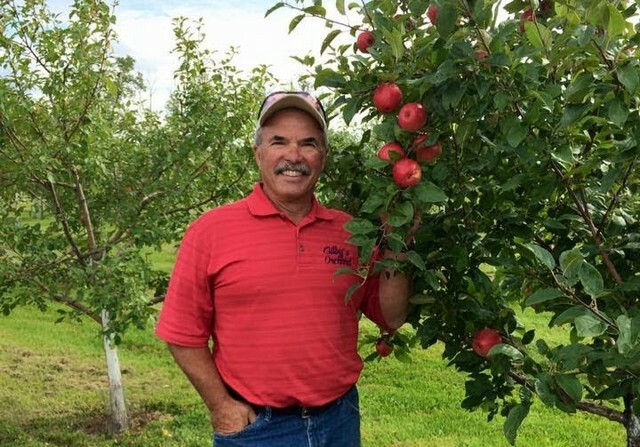 With our lessons learned over the years we found out Mother Nature can be very tough on apple growing in the North Central part of MN. In the winters on 2013, 2014 and 2015 we lost many of our trees. Even though these trees had paid for them self-time and time again, we decided to move to a new growing system (HD) High Density Growing System. What is HD (High Density) Growing System? Did you realize there are two primary parts to an apple tree? 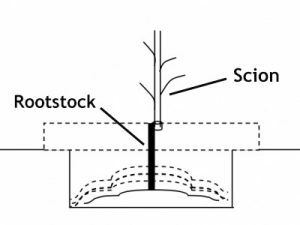 What Rootstocks did we select? Trees need to be supported! The branches are also trained to grow more horizontal than vertical… Horizontal growth creates more fruit, vertical growth creates more wood. 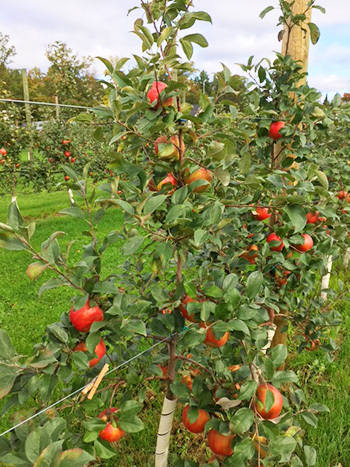 3rd year or 3rd leaf, if the tree has done very well over the last 2 years you can leave about a dozen apples. 4th year you can let the tree go… thin the tree so you have one apple per fist. You do not want to over crop the tree with apples. Get the tree to 8’ as soon as possible! How/where do I get a Dwarf Apple Tree? 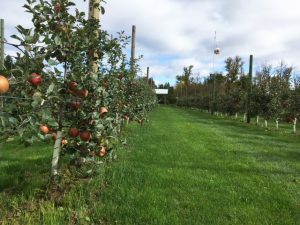 You need to contact a grower or specialized nursery that has Apple trees on Dwarf Root Stocks (Gilby’s Nursery and Orchard LLC). Most Nurseries you need to order the trees 2-3 years prior to when you want them. 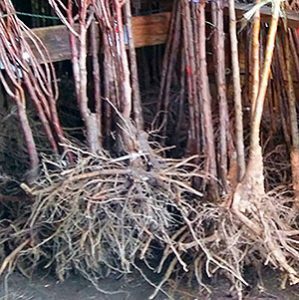 Most Nurseries also have minimum order quantities like 50-100 trees per variety.